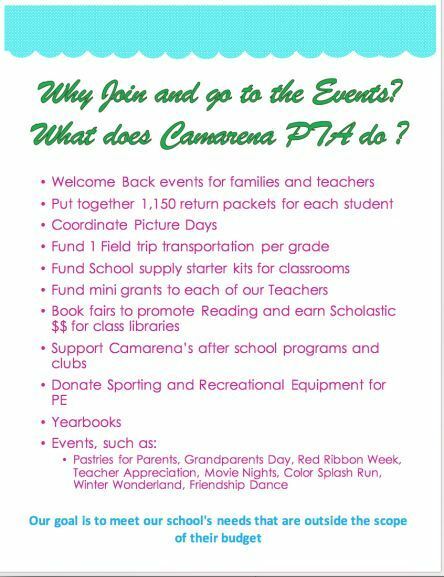 Camarena has been working to increase parent completion of the lunch application this year. It’s important that we help to identify those students that may qualify for free or reduced lunch in order to minimize the financial burden on families and allow for all students to have healthy meals every day. In addition, Title 1 funding is at stake. Helping individual families could in turn help our school receive significant funding that could make a huge difference for our school and our students! Please take a moment to look at the flyer and considering filling it out if you have not done so before. It’s not too late in the year! Parents of Room 414 – Please sign up for a conference time in March. 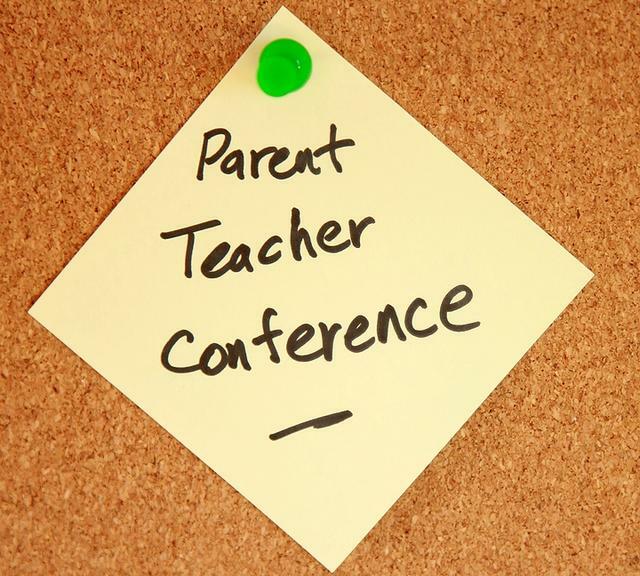 Student-led conferences will begin March 8-March 15th. These will be minimum days. the student blogroll to read about our 6th grade students. We are excited to share our stories and connect through comments. If you are a student commenting, please remember to include your web address in the comment post. That way, we can visit your page, too. 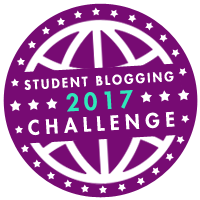 I will also be mentoring some other students bloggers outside of our classroom this year! Our classroom can’t wait to meet some students from other parts of the country and the world. 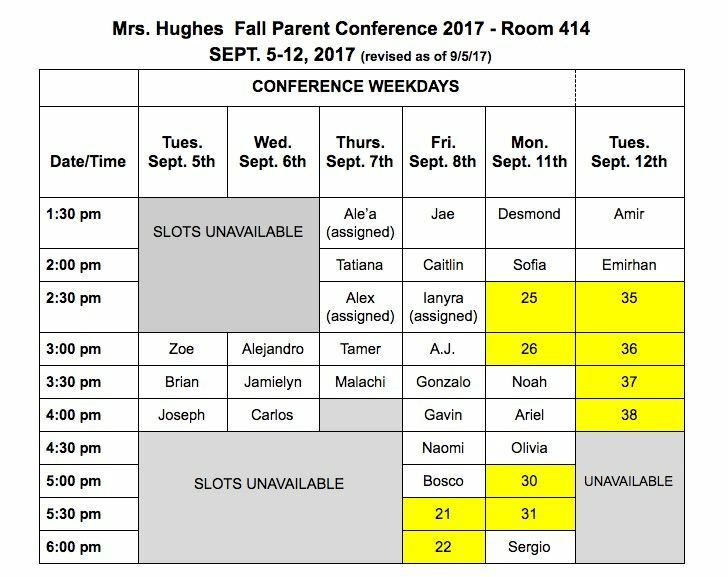 As promised, the signup sheet for September’s Parent Conference is linked below. This will be my primary method for scheduling conferences. Please make your selections no later than next Friday, September 1st. I will email (or send a note with your child) a confirmation of your date. Slots are on a first-come, first-serve basis. 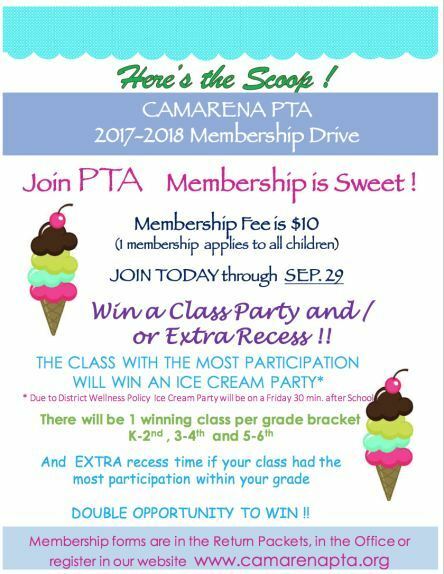 If you didn’t get a chance to read our August bulletin, just click on the “For Parents” tab on this site to read more. If you have not returned the white “Student Disaster Card” given by the office, please do so immediately. I need these in case of an emergency, or to have for a substitute. If you have not checked your email for a message from Teacherease, please check! Teacherease is your child’s online gradebook system. This is a similar system that the middle schools uses. Once you create a free account, you can keep track of your child’s grade week-to-week. Teacherease is also the primary way I communicate to parents, besides email. All detailed class bulletins and announcements will be send e-blasted via Teacherease. However, still feel free to check the blog! The purpose of the class blog is to display student work, media, Twitter feeds, video links, and events. Students will need to know the blog address to access their own student websites. Visit the blog to read your child’s website as the year goes on. If you weren’t able to come to the school Meet & Greet with our new principal, Mr. Jonathan Strout, I know he will be around to get to know you and your child. All the teachers are very enthusiastic of his arrival, and I’m sure you will be too. The first day of school is a minimum day, with dismissal at 1:15pm. Our 6th Grade teachers will be team-hosting our Curriculum Night the first day after school at 2:30pm. THE FLYER IN THE PARENT PACKETS MAY BE WRONG!! COME AT 2:30! Please go to the second floor of the 400 wing for more details. Download my student supply listed below. Each teacher’s list is different. 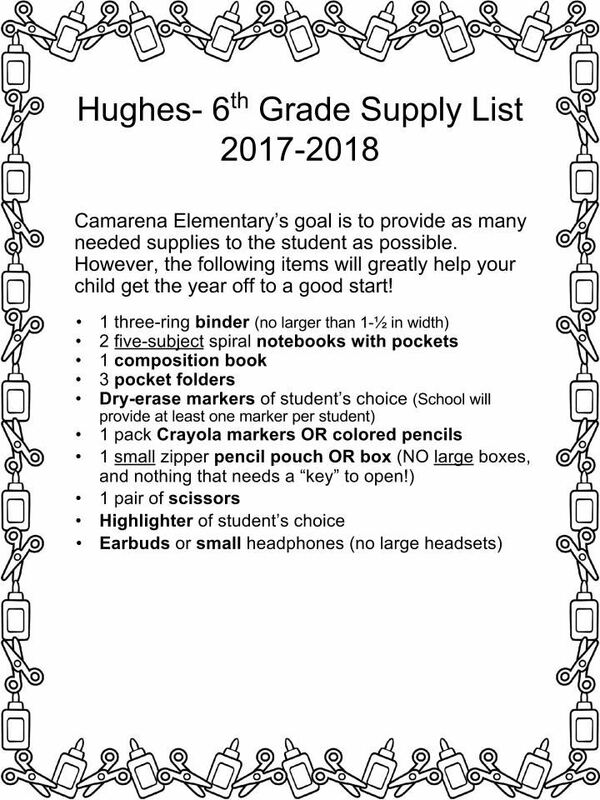 Please have all supplies ready by the following Monday, July 24th – the first full week of school. Looking forward to meeting each of you in the coming weeks! Write 3 separate paragraphs describing Noah’s POV of the following three characters, and specifically how his view has changed / developed since the beginning of the story. 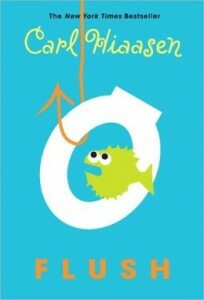 In the book Flush, the main character Noah has many different points of view of the people around him. 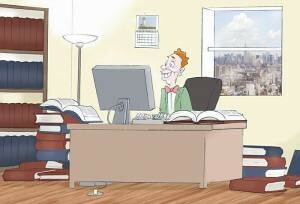 In the beginning of the book, his POV of ___________ was ______________________________. An example of this was when __________________________. This event made /caused / affected _______________________ because __________________. Later, Noah’s POV changed to __________________ An example of this was when __________________________. Another example of this was when __________________________. This means / This shows that _________________________. These are some examples of Noah’s POV of ________________________.